F-MAX, the new tractor that Ford Trucks launched at the IAA Commercial Vehicles 2018, has won the “2019 International Truck of the Year”. The competition was adjudicated by a panel of independent judges, comprising leading specialised journalists from 23 European countries. 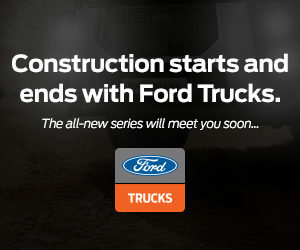 The new Ford Trucks tractor F-MAX, which was launched at IAA Commercial Vehicles 2018 in Hanover, Germany, has won the “2019 International Truck of the Year” award. 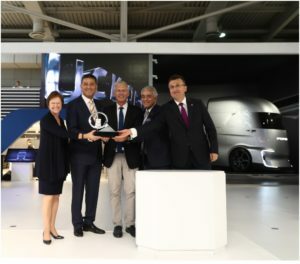 The prestigious award of the heavy commercial vehicles industry was presented by Gianenrico Griffini, chairman of the International Truck of the Year (IToY) jury, to Haydar Yenigün, Ford Otosan General Manager at the Ford Trucks stand at IAA Commercial Vehicles 2018. 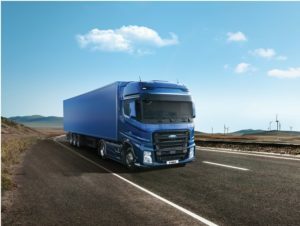 Members of the International Truck of the Year (IToY) jury, which consists of leading trade journalists from 23 European countries, carried out a strict evaluation process to choose the 2019 International Truck of the Year. After being put through its paces in the road tests in different categories and static assessments, the F-MAX underwent a rigorous assessment covering key criteria such as technological innovation, comfort, safety, drivability, fuel economy, environmental footprint and Total Cost of Ownership (TCO). The F-Max scored the highest number of points, finishing ahead of its competitors and winning the “2019 International Truck of the Year” award.